When we plan to travel to Lanzarote we do it thinking of choosing a rural tourism activity in Lanzarote, since it is one of the activities that allows us to be in contact with nature and choose different ways to enjoy rural tourism. Its wonderful beaches enjoy about 20 km of coast of fine sand, with warm weather in summer and temperate in winter, and a very high number of hours of sun a year .. As we already know, Lanzarote island of volcanic origin represented by the Park Nacional de Timanfaya, is one of the most important and essential visits we can make on the island. Lanzarote is one of the most beautiful islands in the world and thanks to its good climate throughout the year, tourists take advantage of it to practice many activities and water sports such as sailing, surfing or scuba diving. In the north of Lanzarote one of the best options is to rent rural houses for those who prefer to enjoy the natural benefits of the island of Tenerife. If you really want to enjoy rural tourism you will find it in Garaday Lanzarote and in the municipality of Tinajo, thanks to its tranquility, nature, gastronomy and the kindness of its people, these are some of the claims for renting a rural house in Lanzarote be the best option to enjoy a good vacation. Other important rural sites that are worth visiting are: The Art Center of César Manrique, the Cliffs of Famara, Haría, Femes and Teguise, this last rural town is known for housing the old capital of the island and one of the flea markets most emblematic of the island of Lanzarote.  As for the accommodation, in Casa Emblematic Garaday Lanzarote, we offer you the best rural house in Lanzarote, both in the north and in the south, contact us to come to Lanzarote in summer and in any season of the year, because in Lanzarote you will find the best climate in Europe. If you liked this post, share it on your social networks.